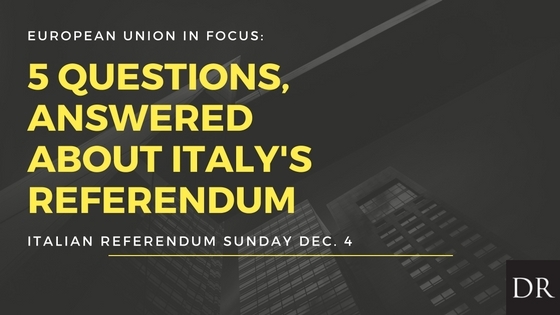 This Sunday, December 4th, Italy will hold a constitutional referendum. And while this isn’t a referendum to remain or leave the European Union, like the United Kingdom’s referendum in June, it still matters. European markets, the future of trade, the economy and global relations all could shift depending on the outcome. It behooves you to know what’s happening and what could happen as a result. You’d be forgiven, though, for not understanding what Sunday’s referendum is all about. One of the leading Italian research institutes, Demopolis,reported that nine out of ten Italians have not understood the upcoming referendum on constitutional reform. 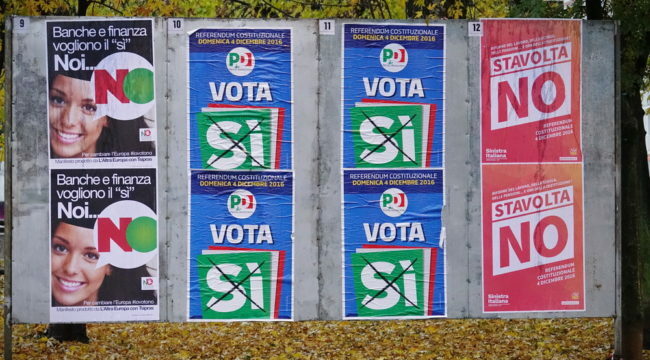 What is the Italian Referendum and Why is it Important? Italy’s referendum will decide on a series of constitutional reforms that would considerably restrict the size and power of one out of the two houses of Italian parliament. This effort was drawn up to reform the country’s endemic corruption and inefficient systems of governing. Italy’s current Prime Minister, Matteo Renzi, has lobbied strongly for a “yes” vote, which would strengthen the central government, while weakening the regional provinces.. The Prime Minister has flip-flopped on his promise resign if voters in the country reject the referendum – but considerable speculation has indicated made Renzi’s exit still a possibility. A win for the “no” vote would leave the Italian government intact and as it stands now and create an opening for Italy’s opposition party to rise to prominence. The main benefactor of a “Yes” vote is what has become known as the “Five Star Movement” – a rapidly growing populist party. The party is led by a former Italian comic, Beppe Grillo, who has an anti-EU, anti-euro nationalist agenda. Leaders in the Five Star Movement have also discussed the return to the pre-Euro Italian lira currency and even went as far as to propose splitting the eurozone into multiple currency regions. Why Does Italy Matter to the Economy? Italian banks are incredibly indebted at the moment, and already timid investors could bring about a shock to the system for those fragile banks. Even outside of Italy, European countries that surround it also face similar financial backlash and could be easily set off by such an economic backlash. While similar to voters voting against Clinton and not necessarily for Trump, opposition to the referendum could be more about opposition to the Prime Minister, Renzi, than an actual rejection of the ballot itself. Renzi’s presiding over a lackluster economy. and Italy’s overall employment rate, one of the lowest in the euro zone, which has fallen to 57.2%. What is the Market Impact from Italy’s Referendum? As was the case post Brexit and Trump’s election win, you could see the market react in knee-jerk fashion to the Italian vote, where Italian government bonds could sell-off in a “No” outcome. Conversely, Italian government bonds could rally upon a “Yes” vote. In the immediate aftermath, you could also see efforts to recapitalize Monte Paschi di Siena stall. The recapitalization efforts began earlier this week and are set to unfold throughout December.. 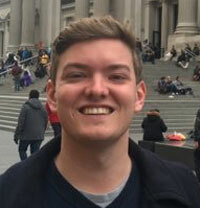 But investors and plans on foreign capital coming to the bank’s rescue could freeze after a “no” vote. The story of Monte Paschi could be the first in a series of market backlashes from a referendum vote to hit back against markets. As the Guardian reported, the EU has rules in place that prohibit Monte Paschi from receiving state based funding, but in the event that the bank was to fall, its collapse very well could cause a political crisis for Italy and the EU. As it stands now most recent polling out of Italy have left us to believe, or at least under the suggestion, that a “no” vote is likely. That fear and anxiety is beginning to cause some to panic about the future of Europe (Jim Rickards covers the Italian bank on the brink here). While the vote in Italy might be one directly impacting the government system it will be the banks both in the country and throughout the Eurozone that are worth monitoring. Stay tuned for Sunday’s vote. It might not be the Brexit for Italy, but it is still a paramount vote and matters for the future of Europe.